Knit By God's Hand: What is terrifying to you? Ricky & I were talking the other day about my fear of heights. I used to be scared to death of heights. But I've done better at facing my fears. Now, don't think I'm going to go on a tight rope any time soon, or jump out of an airplane for fun. But I have gone zip lining & I can stand & look over edges of really tall buildings. I also feel like I'm going to puke doing those things, but hey, I do it. ... Snakes. They freak me out so bad. I had a photo session this weekend & in the middle of the road, I saw something squiggly in the middle of the road. I started creeping up to it like an inch at a time. Come to find out, it was a shoe lace. I think my heart stopped the entire time I was sneaking up on it. ... Suffocating. The idea that I can't breath just ... takes my breath away. Like that? I'm so witty. But yeah - I need air. I am the person that is freezing cold & will get under covers & want to throw it over my head, which lasts 0.4 seconds. I NEED AIR! I've wrapped blankets all around me, making a hole for my nose to stick out. DROWNING goes in this category as well. Just not being able to take a breath. No no no no no.... its a wonder I ever run. I'm basically breathless that whole time. ... Being accused of something I didn't do. Maybe its watching too many crime shows or movies, but I can remember being a little kid thinking it had to be the worst feeling ever to be accused of something you were truly innocent of & you were still blamed, or even sent to jail for. Tell me why a little kid worries about this? My brother must have blamed me a lot for things I didn't do. ... Airplanes. Yes. They terrify me. Every time. & yes, I have flown. & yes I will probably fly again some day (Disney World, I hear you calling me)... but I still am terrified. When we would fly to Texas to see family, as soon as we booked the tickets, I would start getting sick. Literally. & the closer it got? Let's just say Imodium was my best friend. It tears my nerves up. The idea of crashing? Oh sweet baby Jesus. & I get it - cars are more dangerous, but at least I think my seat belt has a chance of helping. A seat belt thousands of miles above the earth? Come on... really? That's going to save my life? ... Hurting someone's feelings. I freak out if I think I've hurt someone's feelings. I just can't stand that idea. "Feelings" are more to me then anything. You can punch me in the face & I'd take it better then you saying something on purpose to hurt me. So I feel like everyone is like that. So if I punch you in the face, know its so I don't hurt your feelings. ... Web MD. Sorry - its terrifying. Nothing good every comes from WebMD. I know I just heard an Amen out there. ... The idea of loosing family members. I just don't want to talk about it. I'll start crying & I don't even want to think about it. Ugh! Snakes! For sure. Snakes and fires!!!! I don't like either of those! 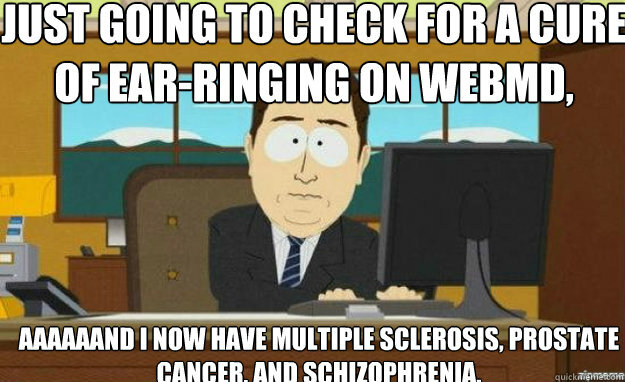 Haha, nothing good ever comes from Web MD, I agree with that one! One of my biggest fears is spiders and bugs in general, just can't handle them!!! Ha Web MD! Drowning for sure, I've actually had 2 terrifying experiences of thinking I was going to drown. Surprisingly it didn't make me terrified of water, I'm just pretty cautious... And don't laugh, but I HATE frogs/fish/snakes all equally. I am with you all the way on these fears!!! Sista girlfriend, planes....I so get it! Not being able to get air (ironic I have lung disease) a yes!! I have seen so many snakes while hiking they don't phase me anymore I usually stop and take a picture. I don't want to touch them though. Fire scares me, it's so destructive! any situation where i cannot breathe and heights. ugh. Suffocating is one of mine! I also hate feeling trapped, even if it's by covers. Maybe I'm a tad bit claustrophobic.